Vodafone India Ltd., one of India’s leading telecommunications service providers, today announced its association with Kerala Social Security Mission (KSSM), to conduct ‘Vodafone Ona Virrunu’, an initiative aimed at making Onam inclusive and special for all residents of Kerala. As a part of this initiative, Vodafone will serve the traditional Onam Sadhya during the Onam season, for the underprivileged sections of society. This activity is slated to be implemented across 70 locations in Kerala between 26thAugust 2017 and 4th September 2017. For every Unlimited Recharge made by customers in the circle, Vodafone is committed to contribute a certain amount toward the cause of ‘Ona Virrunu’. Vodafone Unlimited Recharges are available under First Recharge and Repeat Recharge categories, in various denominations. While Vodafone customers will enjoy Full Value benefits on the Recharges, they will also be contributing toward the ‘Vodafone Ona Virrunu’ cause. Dr. Mohammed Asheel, Executive Director, KSSM said “Vodafone has consistently been initiating several programmes for the welfare of Kerala state and our citizens. We are extremely happy to be Vodafone’s partners to the ‘Vodafone Ona Virrunu’ programme. This initiative brings out the true spirit of Onam, by expressing care for the lesser privileged and giving them the opportunity to relish a traditional ‘Onam Sadya”. Vodafone Unlimited Recharge in First Recharge denominations are priced at Rs. 145, Rs. 301, Rs. 345, Rs. 445 respectively and the base recharges are priced at Rs. 148 and Rs. 348. Customers can check 121 for their eligibility for segmented offers. 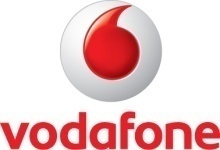 Globally, Vodafone is one of the world’s largest telecommunications companies and provides a range of services including voice, messaging, data and fixed communications. Vodafone has mobile operations in 26 countries, partners with mobile networks in 49 more, and has fixed broadband operations in 19 markets. As of 30th June 2017, Vodafone had 523.5 million mobile customers and 18.5 million fixed broadband customers, including India and all of the customers in Vodafone’s joint ventures and associates. For more information, please visit www.vodafone.com.